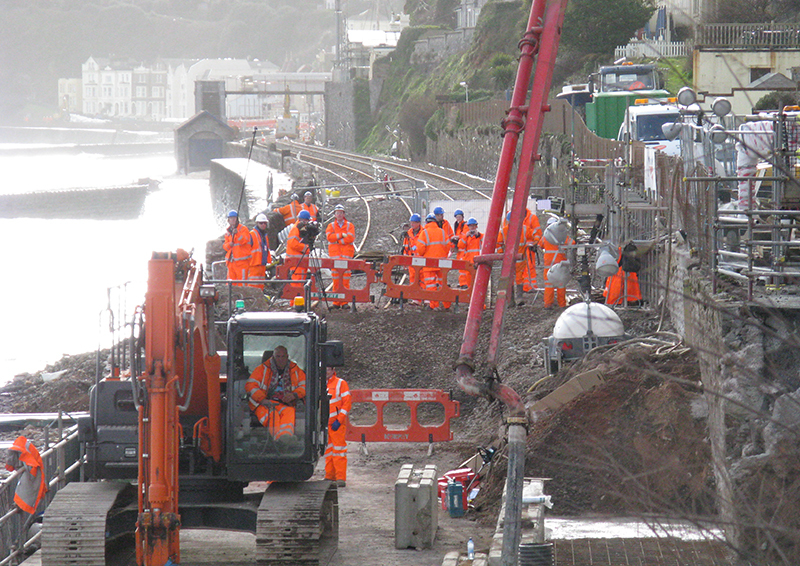 The South Devon Railway, the only rail connection from the South West to the rest of the UK, is accustomed to extreme weather conditions. However, the severity of the storms in February 2014 and future storms was to cause chaos across the South and West of the country. AMCO, Dyer & Butler together with BAM worked tirelessly 24 hours a day, 7 days a week to re-open the line, with an average of 300 people each day and 150 each night involved. This presentation gives an account of the work undertaken and the innovation methods they used to allow the line to open ahead of plan.